These Thanksgiving Leftovers Recipes will reinvent your holiday meal favorites into exciting new dishes you’ll love! Maybe even more than the original meal (shhhh). If you are in the United States you most likely are celebrating Thanksgiving this week. Regardless of how you mark the holiday, it’s often the leftovers that we all look forward to; the reincarnation of the Thanksgiving meal to enjoy over again. 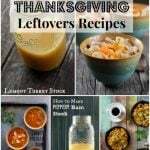 Thanksgiving Leftovers Recipes can be as good (some think even BETTER) than the original holiday meal! That second plate of dinner leftovers late on Thanksgiving Day, after the initial over stuffed sensation has subsided, kicks off the following days of enjoying all the holiday favorites in one form or another. Each family enjoys similar dishes for Thanksgiving (or now Friendsgiving). Usually turkey, mashed potatoes, sweet potatoes, stuffing/dressing, cranberry sauce and pie. Over the years we’ve created some after holiday recipes using the delicious leftovers, that admittedly, I look forward to almost more than the original feast (shhhh). I’m sharing some of our family favorites with you today. 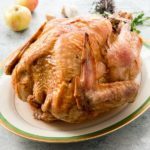 I’ve also rounded up some Thanksgiving leftovers recipes from some talented bloggers to give you a collection of great choices to keep your next post feast days as delicious as today! GLUTEN-FREE NOTE: All these recipes are either naturally gluten-free or can be adapted by using gluten-free stuffing, etc. 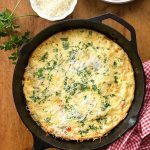 This easy one skillet recipe is a long time favorite of my family. In fact when I purchased the few ingredients that aren’t leftovers from Thanksgiving dinner, my kids clapped. 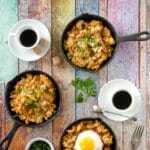 Leftover turkey, stuffing, and gravy are combined with slivered almonds, red pepper and other ingredients to create a morning after breakfast skillet that will make it hard for diners to sleep in anticipation. 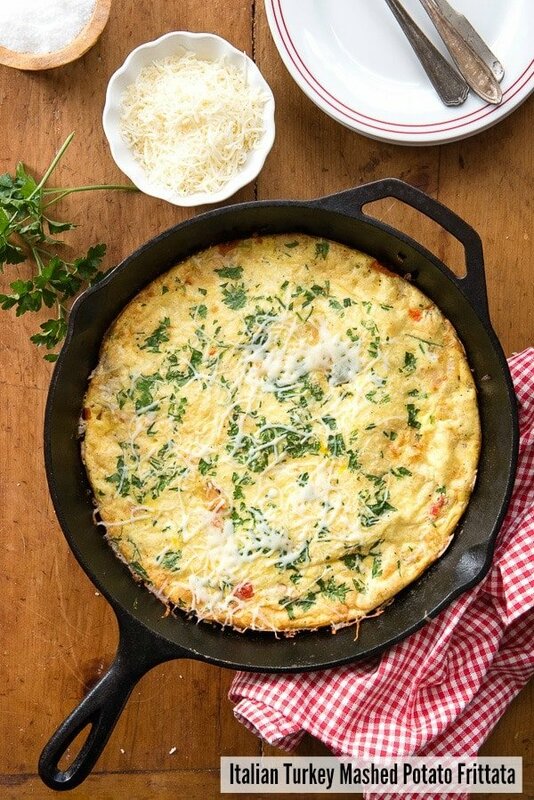 Frittatas are an easy, filling recipe option perfect for any meal of the day. This version uses up some of the star Thanksgiving leftovers added with fresh ingredients and Italian seasonings for a satisfying easy recipe. A great sandwich is a Thanksgiving leftovers recipe classic! A couple slices of great bread, turkey, maybe some dressing/stuffing, cranberry sauce, some salt and pepper; heaven! But you can change it up a bit too. This recipe was born out of sheer excitement upon finding gluten-free pita pockets. Traditional pita pocket bread can be used for those not gluten-free. 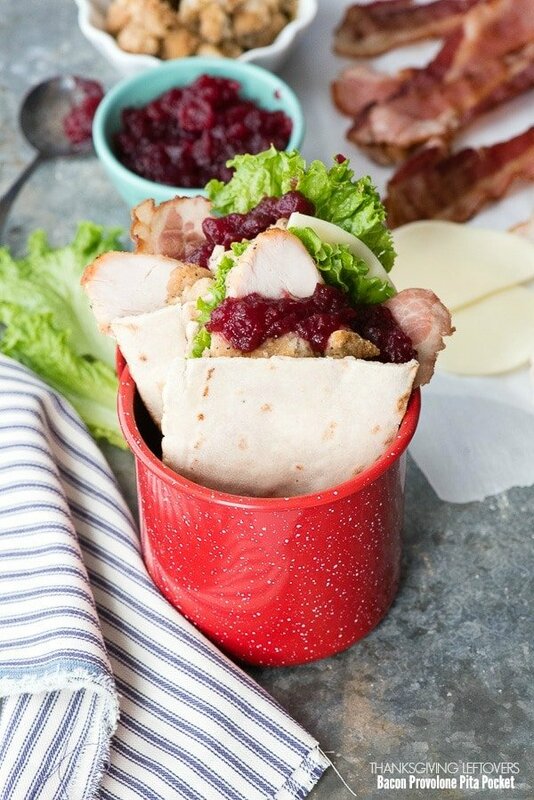 Turkey, stuffing and cranberry sauce from Thanksgiving are stuffed with bacon, cheese and lettuce for a fresh spin on leftovers. 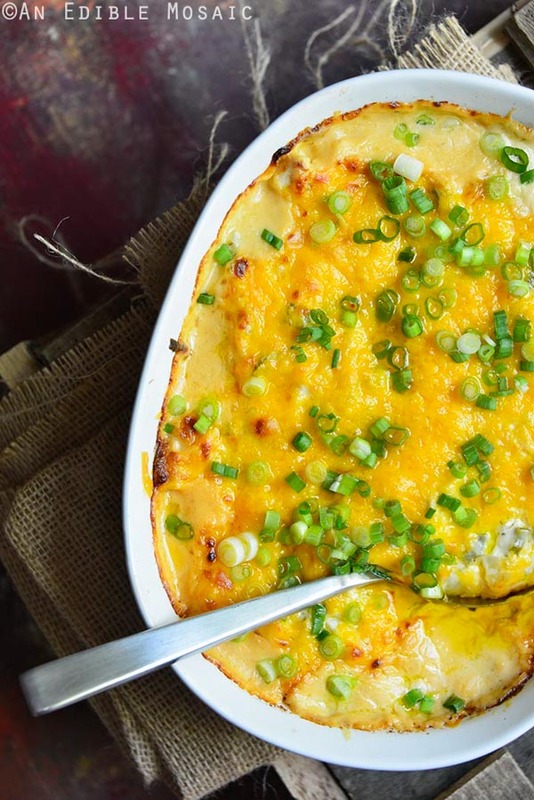 Classic Shepherd’s Pie is reinvented with a Southwestern twist and Thanksgiving leftovers! 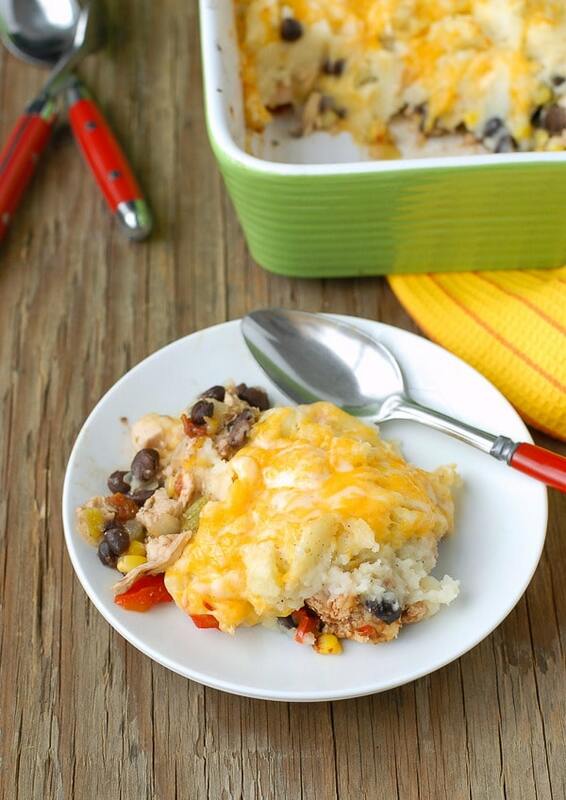 A mix of southwestern vegetables mixed with leftover turkey and topped with mashed potatoes and cheese make a hearty, easy comfort food recipe to feed a crowd. 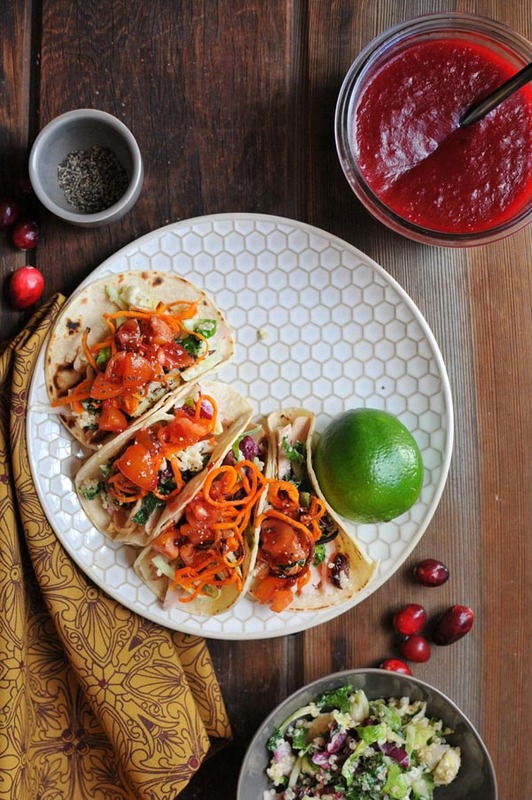 These colorful Turkey Tacos with Chipotle Salsa are as beautiful as they are delicious. Leftover turkey is great for all sorts of Mexican food recipes such as these Turkey Cranberry-Chipotle Quesadillas (uses turkey and cranberry sauce). A good casserole is easy to make and this one screams flavor. A great option to keep leftover turkey moist and exciting with the accompanying flavors. 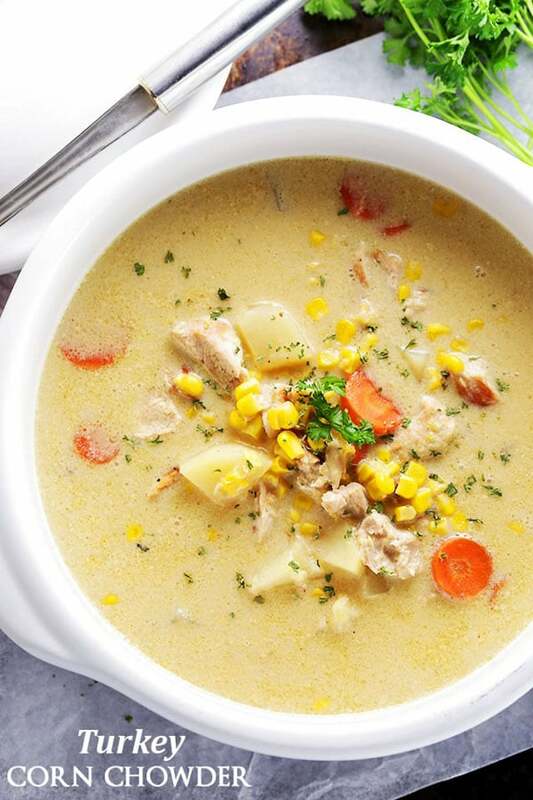 Soup is always a winner to use up leftovers. There are many soups using turkey and being a more neutral-flavor, it goes well in all sorts of soups from ethnic to classic comfort food. Also don’t miss the chance to make homemade turkey stock! 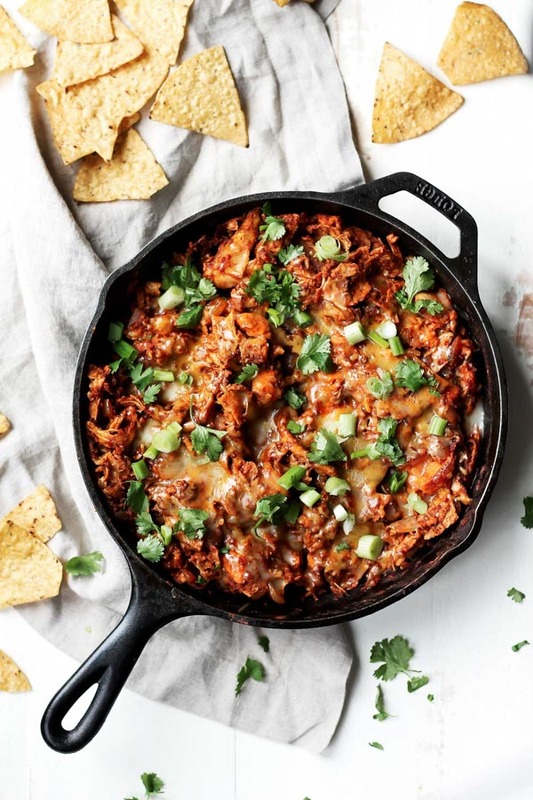 I love a good skillet meal and this 30-Minute Leftover Sweet Potato & Turkey Enchilada Skillet has my mouth salivating. 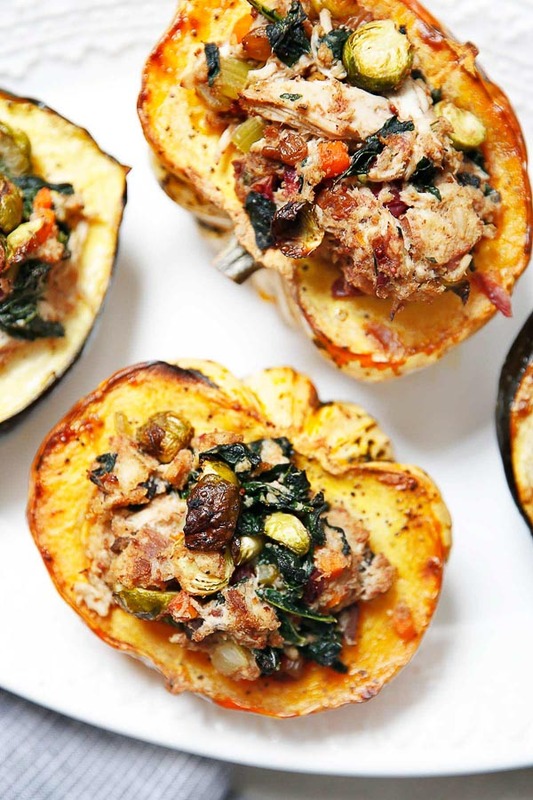 Great to use up those sweet potatoes and turkey as well as dazzle with the spicy new flavors. 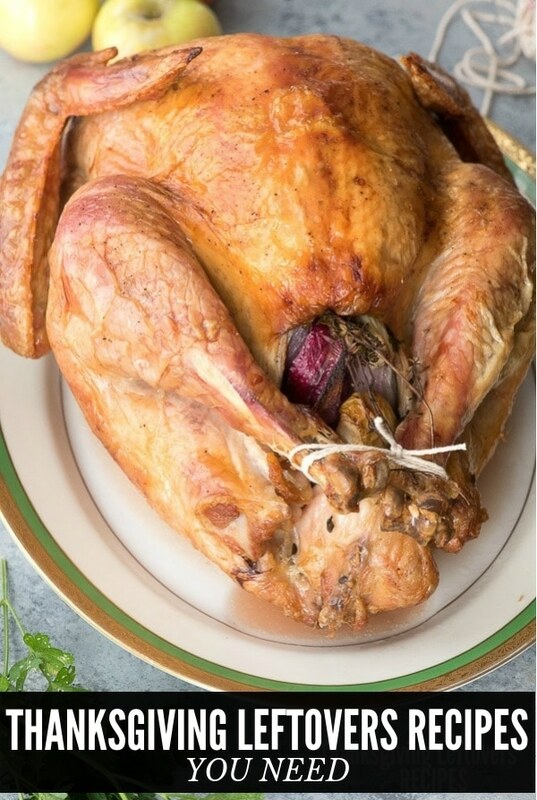 This recipe looks so pretty and also uses turkey, dressing/stuffing and leftover vegetables! What a delicious reincarnation! Balsamic Roasted Fall Vegetables with Sumac would be GREAT in this Thanksgiving leftovers recipe. Thanks for all these ideas. We don’t have much leftovers but I think it would be enough to make a meal or two. I will share this post with my sister. I believe she has a lot of leftovers because her husband’s cousin and family were not able to make it to make it to their Thanksgiving party. These recipes look so easy and delicious. Now I won’t have to throw away the leftovers. I can turn them into something new! I love that these recipes are not typical or traditional. Yum! I am craving turkey leftovers now. We won’t be having another until Christmas though since we celebrate our Thanksgiving in October. Everything looks so delicious. Wow, so many great looking recipes for leftovers! 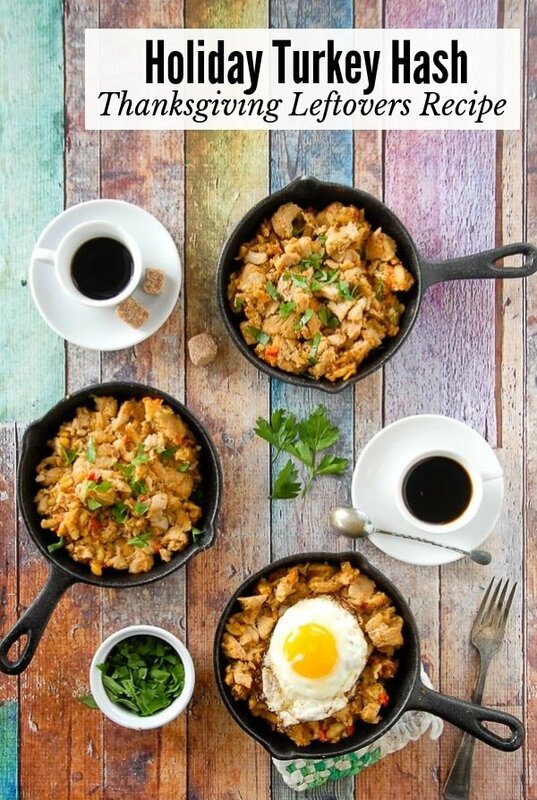 That holiday turkey hash with the egg on it looks amazing to me.Yum! Holiday hash looks delicious. I’m ready for all the holiday fixings! All of your turkey leftover recipes look absolutely delicious. I can’t wait to try them all, starting with your Potato Frittata recipe which looks mouthwatering. I am loving these leftover ideas of what to make up with items left from Thanksgiving. I’ll be using some since I’m cooking a feast for just three of us tomorrow. I’m thinking that the tacos are going to be a good idea for us. They look really tasty and we’re definitely going to have leftovers. Wow, everything looks so scrumptious here! I love the soup idea and will probably be recreating that since I have a 20lb turkey!! Those recipes are much more imaginative than my sandwich ideas. Tacos with the turkey seems like one i would really love to try soon. Thank you so much for sharing these! We always have a ton of leftovers after Thanksgiving, and one of my favorite things to do is make other dishes with them. These look great! those recipes look so good! mmm!